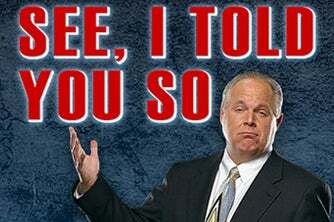 RUSH: This is a story resulting from a research study at Brunel University in London. “Physically Weak Men More Likely to Be Socialists.” (laughing) What timing! I said, “This is a godsend.” It is a woman that’s writing the story here. “Surprise, surprise. Men who are physically weak are more likely to favor socialist policies. An academic study from researchers at Brunel University London assessed 171 men, looking at their height, weight, overall physical strength and bicep circumference, along with their views on redistribution of wealth and income inequality. “The study, published in the Evolution and Human Behavior journal,” one of my favorite magazines, by the way, right along with Prairie Farmer. The survey “found that weaker men were more likely to favor socialist policies than stronger men. Brunel University’s Michael Price believes this may be a product of evolutionary psychology.” Listen to this. Dr. Price said, “This is about our Stone Age brains, in a modern society. Our minds evolved in environments where strength was a big determinant of success. “If you find yourself in a body not threatened by other males, if you feel you can win competitions for status, then maybe you start thinking inequality is pretty good.” See how this works? Strong, tough, self-reliant, studly, manly guys don’t believe in equality. You think you have a headline, you think you have a story that may really be on to something and then they totally blow it with their own analysis. Now, this story hit home for me obviously because of the circumstance that happened up there in Montana. But I myself — and I’ve mentioned this before — I imagine a lot of people will not remember me having said it because I didn’t make a big deal of it, didn’t do a whole segment on it. But I have wondered — Snerdley will back me on this — over the years I have openly wondered out loud here how, honest to God, real men could possibly be liberal. I have never understood it, in a psychological sense. I understand propaganda, brainwashing, environmental influences growing up, the role of parents, teachers and so forth. But throw that stuff out, I have never understood it. It just intellectually, as far as common sense, doesn’t compute with me. And yet it is obviously true. This story actually looks at it the other way. 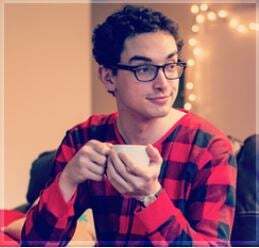 Rather than how our big, tough strong guys are liberal fascists, they point out that it’s weak and small and Pajama Boy types that are more likely to be socialists. The theory is that because they do not have the confidence born of a powerful personal stature, that they need outside forces fighting their battles for them to ensure that they are not thrown overboard, under the bus. That they’re not beaten up, that they are not bullied and made fun of. So they come along and they support large, forceful, powerful authorities over everybody to equalize things. And on the other hand, big, strong, manly, studly guys, they gravitate the other way, and they don’t want equality because they already know that they’re bigger, stronger, and more powerful that the wusses out there and they don’t want anybody coming along elevating the wusses to artificial strength and artificial power when they can’t acquire all of that on their own. Well, we don’t have any hunter gatherer — well, we do, but not here. We’re on the way. If these climate change people win, we’re all gonna be reverting back to that era. So physically weak men more likely to be socialist. 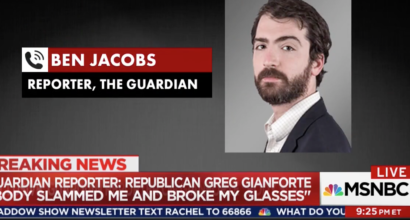 You can understand how that headline captivated me on the very day the studly and manly Gianforte threw that dishrag Pajama Boy reporter down to the ground.